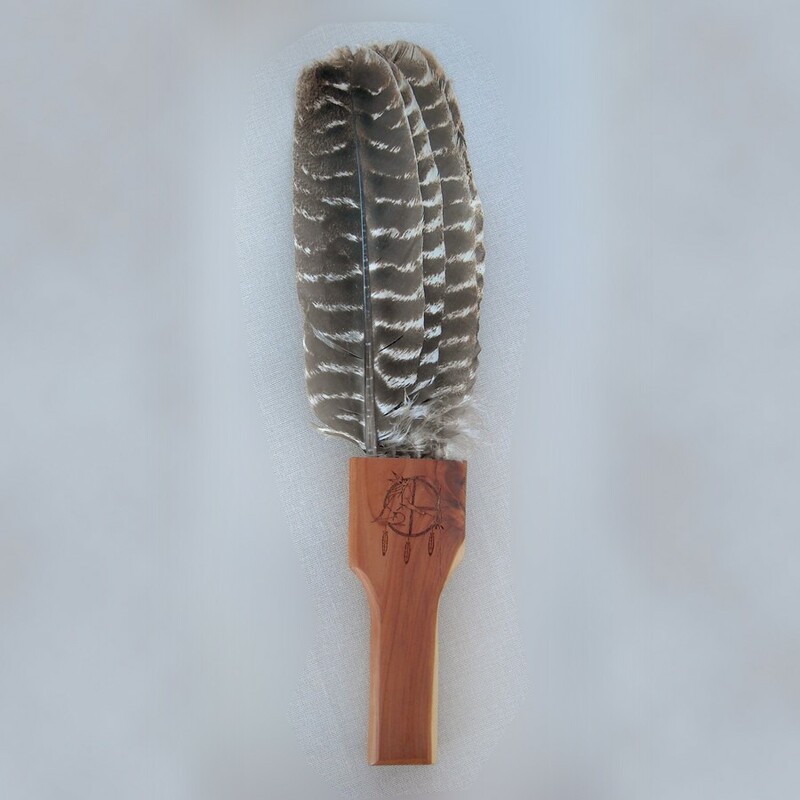 Make your own feather fan. This is a working workshop. Jeanne and Steve will be available to assist and demonstrate techniques that you can incorporate into the fan you want to make. Several turkey wings, as well as other legal wings and tails. 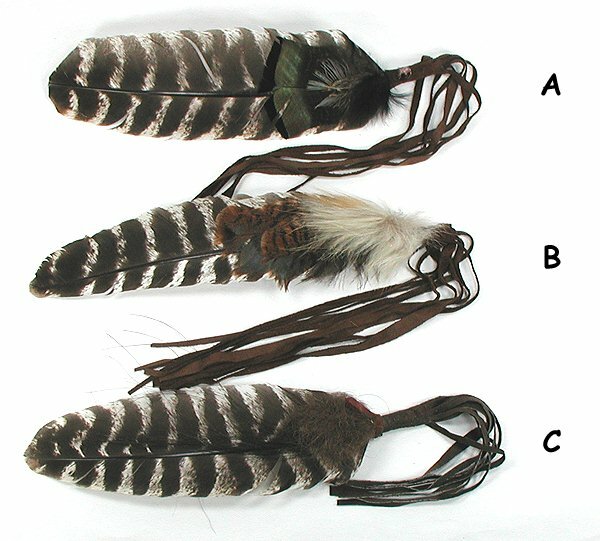 Individual feathers for smudging/prayer feathers. 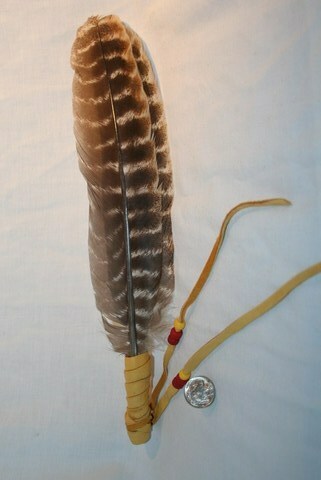 These can be made as single feather or multiple feather fans. This is a .pdf listing of Birds Protected Under the Federal Migratory Bird Treaty Act. If you have feathers, wings or tails that you want to make into a fan, bring those items with you. You may also want to bring leather, beads, colored thread, crystals or material (wood, bone, antlers etc.) to make handles for your fan.